Some families experience different problems with their plumbing fixtures and their appliances. One common concern that many have identified is the residue of calcium that builds up from the hard water that flows throughout their pipes. When this occurs, these problems can be very costly to the family’s budget and can also reoccur again and again over a small period of time. To prevent these and other associated plumbing repair problems, there is a remedy that home owners have access to today and that is to purchase a water softening system like the Nuvo H20 DPHB Home Salt Water Softener System. Here’s a few more facts that people can consider when they are making their decisions. No change requirements in the existing water flow since this device comes with 12-15 gpm with one inch ports. 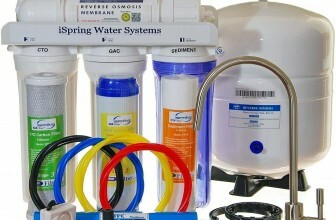 This product is a favorite among numerous professionals in the plumbing industry. In fact, because of the positive experiences that some licensed plumbers have had, it’s not uncommon for the Nuvo H20 DPHB to be recommended to customers that they service. 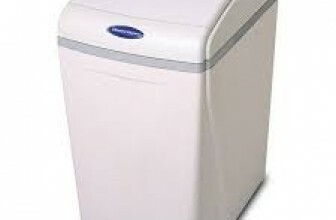 This is because the feedback for this portable water softener has been mostly good and has solved a diversity of hard water problems, specifically in homes in states like Arizona. It is also important to note that is has been FDA approved so it comes highly recommended in these agencies as well. In some cases, this softener is combined with a carbon pre-filler so it can provide dual functions (i.e. softening the water and removing odors, large particles and chlorine). We were pleased with this device’s performance because it does not only improve the way our water tastes, but also affected how the water feels against the skin. We found that the treated water does not make our skin feel itchy or slimy after they take take their shower. Even though this product has performed exceptionally well, we still encountered some issues that we feel need to be brought up in our review. For instance, the filters only last for a period of one month before we started to see problems creeping up in our water system again. Unfortunately, to prevent these problems from occurring, we had to replace the filters more frequently than we really should have. This caused us to incur more costs than we would have with another softener. Overall, the Nuvo H20 DPHB Home Salt Water Softener System is a great softener to have installed despite the issues we encountered. Moreover, many consumers and professionals alike are pleased with their own results and they are encouraging other home owners to use it too. 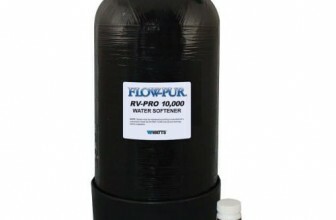 This water softener solution has been made with numerous features in mind including handling as much 50,000 gallons of water a year for a two household residence, and it is considered to be environmentally friendly. We are among the many who have purchased this product and are also pleased with their experience because it improved the overall taste of their water as well as made it suitable for other needs. More importantly, when we are taking a shower in our homes, we no longer have to worry about skin problems caused by hard water. As with any new or existing product, there are always concerns that people want the manufacturers to know about. In this case, it would be great if filters lasted much longer than one month. 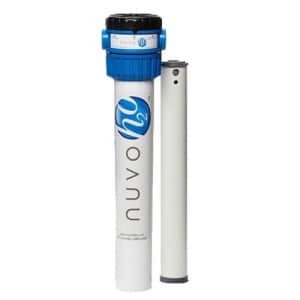 Overall however, the NuvoH2O would be an excellent choice for any homeowner as long as they can overlook the issue with the filters. Not quite what you need? Check out our Fleck 5600SXT review to see if it’s for you!